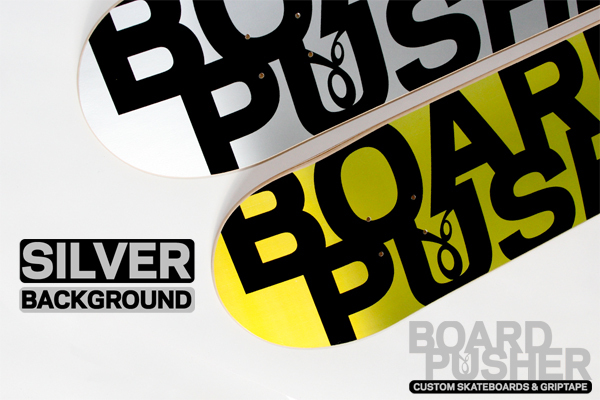 Looking to make your design stand out? Give your graphic a sleek metallic sheen by selecting the SILVER base when creating a custom skateboard at BoardPusher.com. 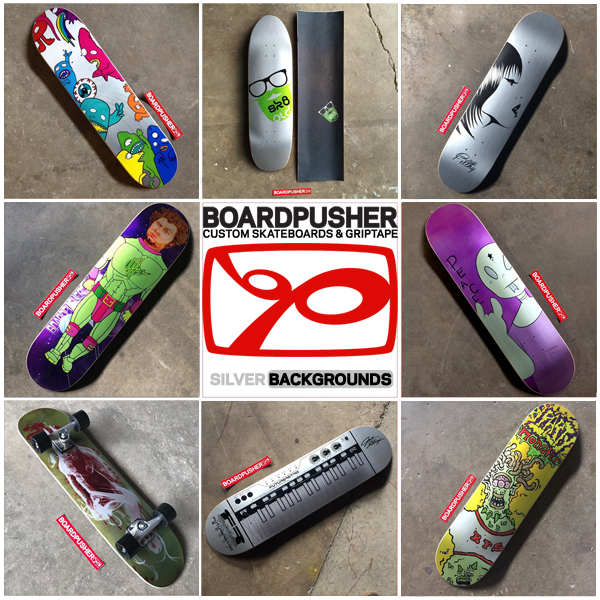 Find out more info about all of our skateboard deck base print options here and view more shimmering SILVER skateboard graphics created at BoardPusher.com here.